This site has been created to provide resources for those whose hearts are inspired to search out the life and riches contained within the Holy Toungue - Lashon Haqodesh, the original language of Tanach, known commonly as Bibilical Hebrew. All of creation displays the wonder of G-d because its very essence is the Living Breath of His mouth. Every sentence, every word and every letter of Torah, is the living encpasulation of G-d's heart towards us. In the truest sense every letter is alive with His Breath, just as we are. My hope is that you will join me in unlocking the life of G-d contained within His living letters and discover just how amazing G-d is, and the amazing depth of intimacy that He desires for us and communicates to us in Tanach, using Lashon Haqodesh. I will be adding new content over the coming days, weeks, months and years. So please do stop by now and again. If you would like to sow, trade or donate. Please use the Donate button below. It's almost embarrassing to note that I haven't uploaded any new content for almost a year! I say almost, because I have been very busy with study and very much caught up with the wonder of Torah. Still, it has been too long. I will be abroad teaching in Singapore at the end of March, and I'm very excited about the new teaching material that I will be speaking on. It is my intention to make as much of this new material available when I get back home in April. So be on the lookout for some new teaching videos. 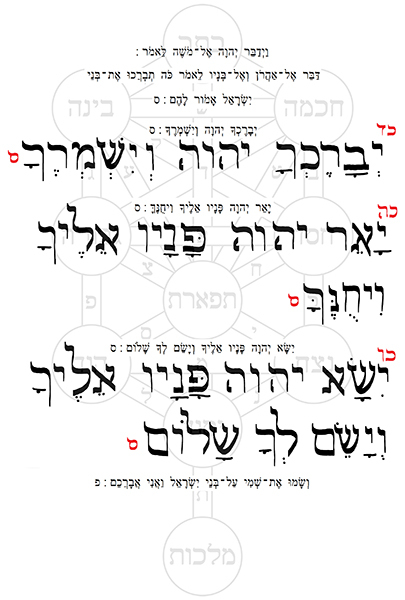 It may be of interest to some that I am also in the middle of writing my first book on the Aleph Bet. Another reason why I haven't posted any articles. Purim is fast approaching and my family and I are looking forward to some exorbitant celebration. Shavout starts tomorrow evening (if you're in NZ). This is a very exciting festival and I encourage everyone to dive into Torah. If you'd like to learn more about Shavout, then head over to chabad.org. They provide a wealth of information on how to celebrate Shavout. I've made a few updates to the site, most of which are in the background. What you will notice though is the new Teaching Videos page. As the title suggests, you'll find a few videos there. I'll be adding more videos as they become available, so I hope that you will find them informative and thought provoking. I've been very busy this week updating the functionality of the website. You'll now be able to access articles in each letters details page, as they are added. Aleph now has a new short introduction video article, which walks briefly through some of the design functionality of this amazing letter. Head on over to the Aleph page via the Letters page. For those whom may also be interested. I have setup a YouTube page, where I am going to upload as much free teaching videos as I can. I'm currently getting ready for a trip to SIngapore at the end of the month, so new content may be sparse till after I return home.